Pannacotta is an Italian dessert which means 'cooked cream'.It is made by simmering cream,milk ,sugar and gelatin and is set in the refrigerator.I had prepared this dessert for my son's birthday party last month.I had prepared a large batch and it was very mildly sweet with the amount of sugar mentioned.Though I checked the sweetness before set, the mixture may taste sweet but once refrigerated to set the sweetness may reduce.So,add slightly more than required.I topped it with strawberry topping,this added a sweet tangy flavor.This dessert can be made in advance a day ahead before the party and can be set.Hope u'llall enjoy making this at home!!! Sprinkle the gelatin over the cold milk and let it stand for 5-10 mins.It will become spongy,swollen. Combine the cream and sugar without lumps and heat on medium flame until it just reaches to a boil.When the cream is very hot,remove from flame and stir the spongy gelatin mixture.Combine well until the gelain is dissolved.If not dissolved,return to flame on low heat and keep stirring until there are no solid gelatin particles.Strain in a separate bowl to remove any undissolved gelatin. Stir in the vanilla extract and mix well.Pour into individual serving cups,or layer with another flavor and set in the refrigerator for 4hours. Prepare the topping-Wash,hull and slice the strawberrries.Combine the sugar,water and strawberries,simmer over low heat and then put off flame.Cool it down and blend it in a blender to a smooth sauce and then strain to remove the small seeds.Mix a tbsp of water & the corn starch without lumps.Add this to the strawberry sauce and put back on flame.Let it thicken,put off flame. Top this mixture on top of the set vanilla pannacotta.Refrigerate until serving. Enjoy with a topping or just like that !! * The amount of sugar should be slightly more than required when boiling so that the sweetness will be correct once set.And the amount mentioned yields a mildly sweet dessert so add according to your sweet tooth. 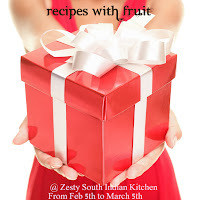 * You can have vanilla pannacotta with some fresh fruits rather than making the topping too. yummy pannacotta dear. looks so good! The pannacotta looks delicious. I was looking at your other blog. You are so creative and talented. Looks yummy...what a lovely presentation!! I like the way the you have presented this delicious dessert! Wow, wish could have some, nature's combo. Belated Happy Birthday to your son dear..tasty and refreshing pannacotta. wow. what a tempting dessert. Julie, You have created a masterpiece. 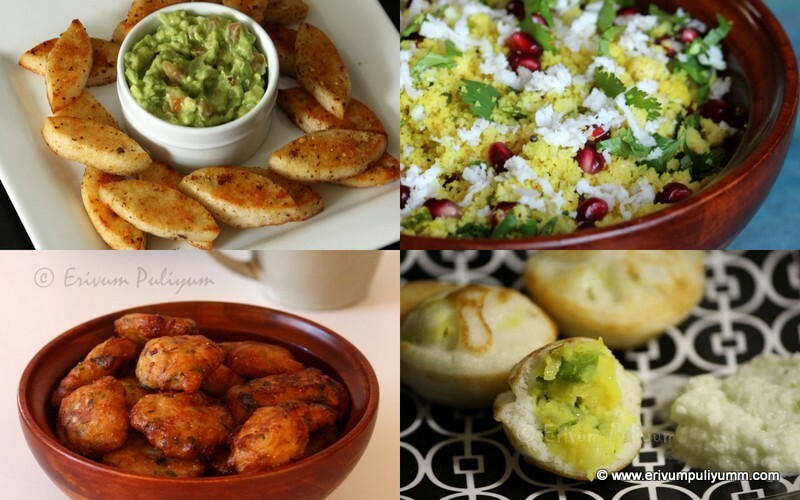 Thanks a lot for posting this recipe. 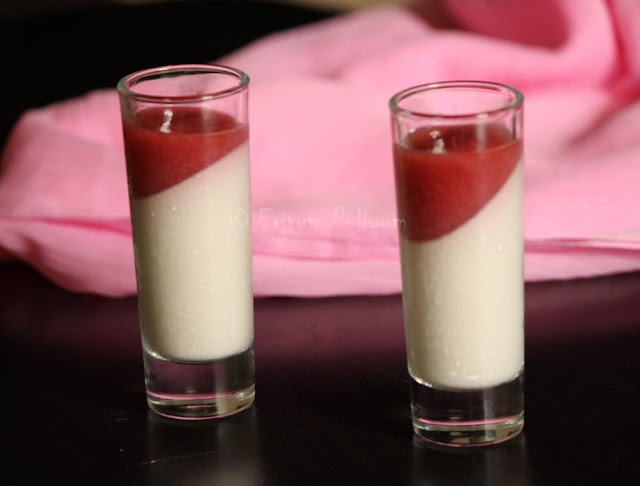 wow..so perfectly made n delicious looking pannacotta...fabulous presentation n pics dear...well done! Yummy and tempting pannacotta. Yummy with strawberry layer. 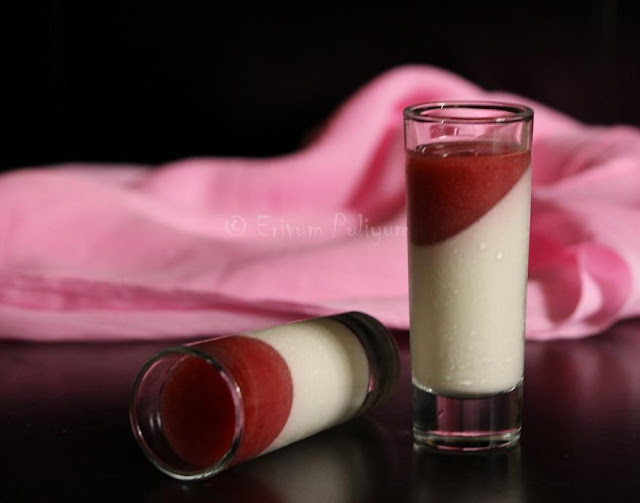 That is a wonderful idea to tilt the glass with Panacotta & take a snap!!! The snap actually makes it even more tempting. As always, nice one Julie! This is such a decadent dessert and the pics are excellent too. wow how did you get that amazing shape? like the strawberry is so perfectly placed on the vanilla!!! how did u do it... tips please!! 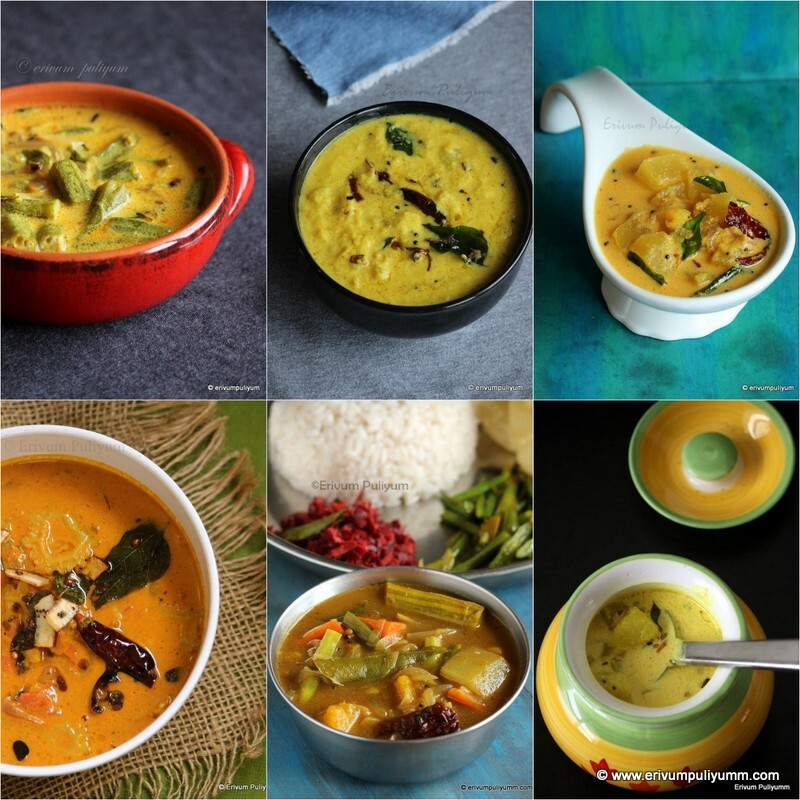 Simply gorgeous, beautifully presented, luvd the clicks. very beautiful snaps... want to have this.. Very stylish presentation and fantabulous dessert. Very elegant, the last click is simply too good..
liked your last click dear.. its awesome..
Sonia,Pour the cooked cream in the glass and place it tilted in the egg tray in the refrigerator,and it will set the same way.Then you can pour the next layer ..Hope that helps!! Tempting one Julie..I posted the same during the month of december..kids loved it.. Thanks Julie..thats a smart and simple idea to give a wow effect. Very creative presentation and clicks Julie. Love Pannacotta - YUM!! Elegant and attractive dessert. 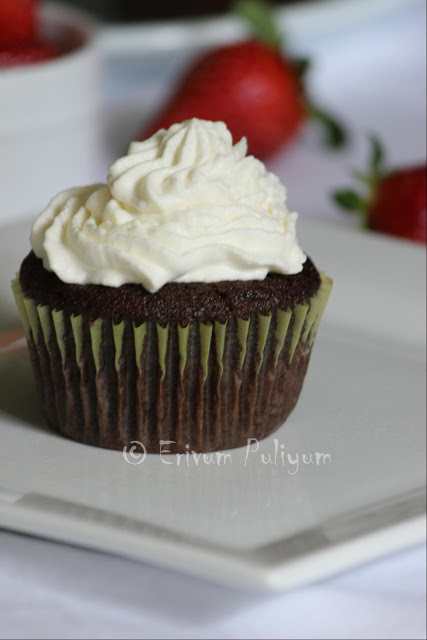 Looks so delicious too..
On going giveaway event ! 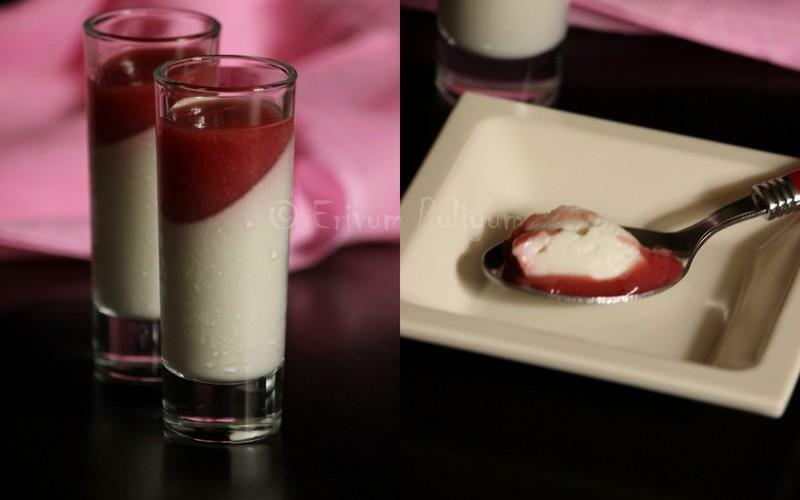 Pannacotta looks super yumm Julie..Beautiful presentation.. 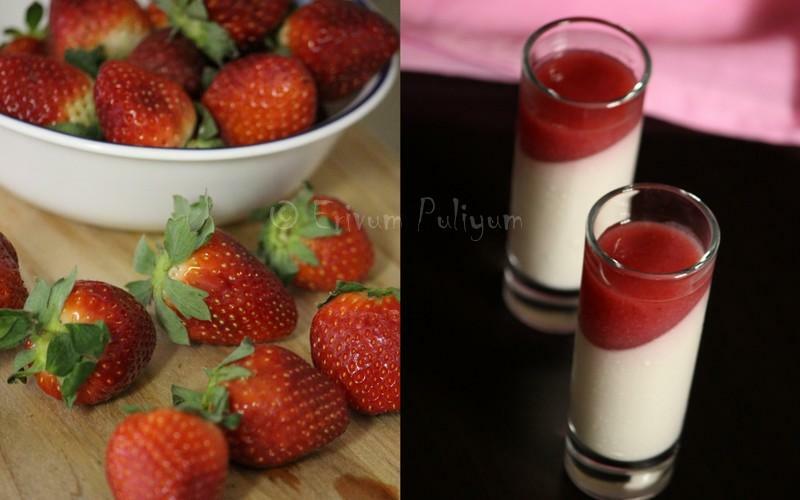 I love pannacotta, and your recipe looks as pretty as it is yum. lovely presentation, looks tempting and yummy!